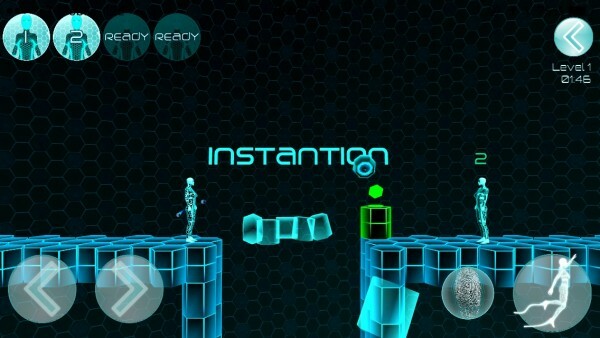 Instantion ($1.99) by Travis Fincaryk is a 2-D puzzle platformer (with a bit of 3-D elements) that will definitely make you think, thanks to its own unique gameplay. 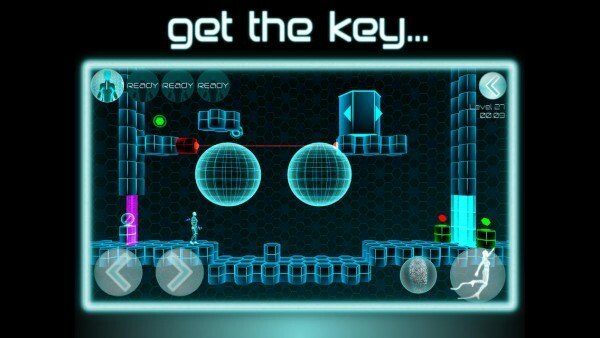 If you enjoy both puzzles and platformers, then this is the perfect mix of both, along with a dash of TRON-like style. Two of my favorite game genres are puzzles and platformers, especially on the iOS platform. These are games that make you think, and I love that in my games, as it helps keep my mind busy. When I saw Instantion on the App Store, I was definitely intrigued, because it looks like a challenging hybrid, and let me tell you — it lives up to that. 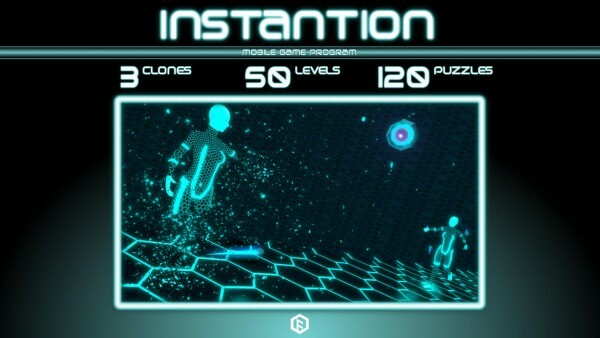 Instantion has visuals that are very TRON-like, as I’ve mentioned. 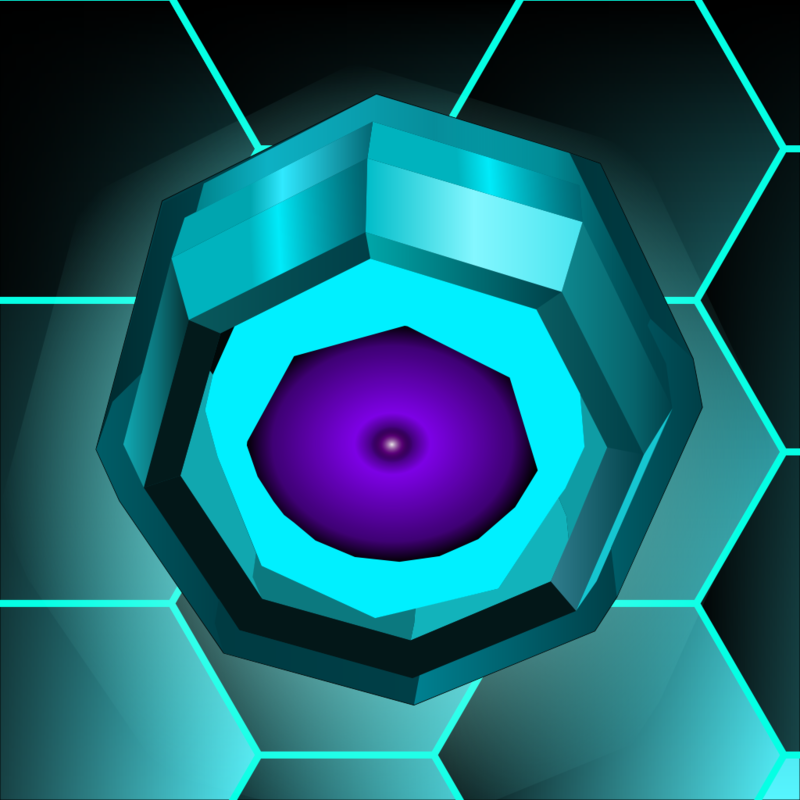 It features 3-D stages that are composed of basic geometric shapes, such as squares and circles, and it’s all in bright, neon colors like cyan and magenta, against a pitch black background. Your character is a genderless, faceless entity that looks like nothing but digital data, along with all three of the clones that you can create. 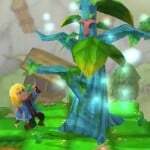 The game has an ambient, electronic soundtrack that is quite fitting, along with some quirky digital sounds. 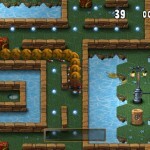 The game has a total of 50 levels, but there are over 120 puzzles within these levels for you to solve. This is due to the fact that each level is broken up into different sections, with checkpoint markers to indicate a new puzzle. In order to advance, you will need to get your character from the starting point to the end point, which looks like a black hole, and it will teleport you to the next level. But to do so, you’ll need to figure out the puzzles along the way, which will involve shooting seeds to create clones to help you press switches, push blocks, find keys, avoiding lasers, and more. 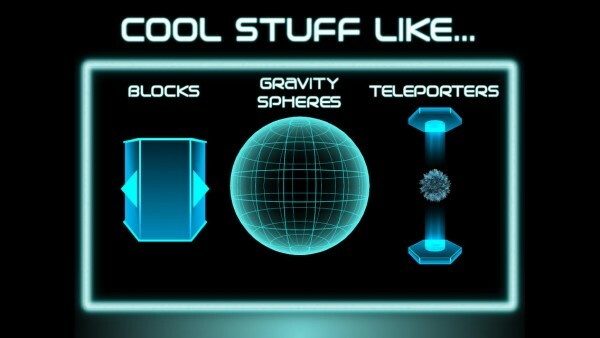 The controls are pretty simple, with directional buttons in the bottom left to move left and right. You are able to jump onto accessible ledges and platforms with the Jump button in the bottom right corner. 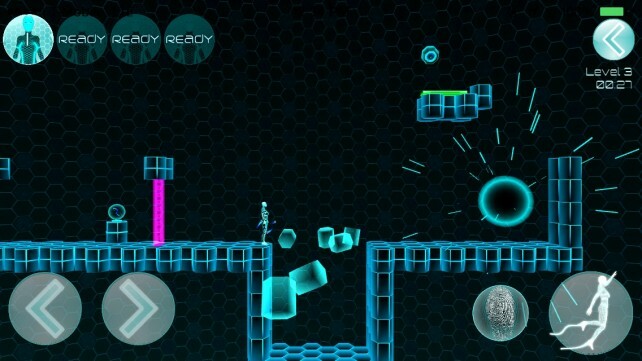 Whenever you come across a switch or other obstacle, you can tap on the Toggle button to interact with it. This applies to either you or any of your one to three clones, who move along with you. But how do you make clones? 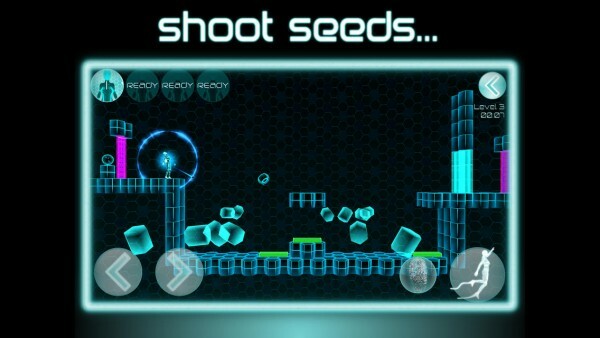 Instantion utilizes the “sling-shot” aiming mechanism, which you should be familiar with by now, as it was made incredibly popular by games like Angry Birds. Just tap anywhere on the screen to bring up the aiming reticule, and drag your finger around to properly aim it where you want. A trajectory line will show you where your clone will spawn when you release your finger from the screen. Aiming will also slow down time by 50 percent, so this is efficient and useful for more dangerous obstacles, such as lasers. 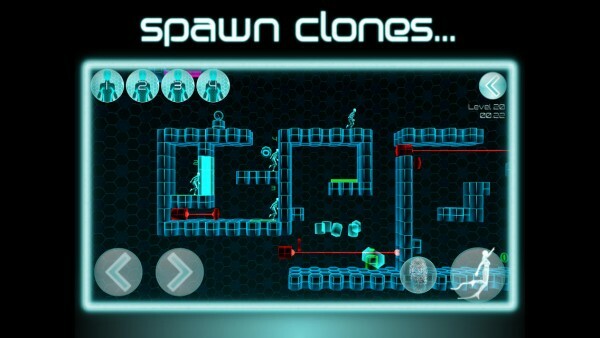 While you can technically use as many clones as you want, you get a better score and grade on a level by completing the puzzles with as few clones as possible. While you can have up to three clones at a time, you can willingly destroy one of them by just tapping on their specific portrait (each one is labeled for easy identification). 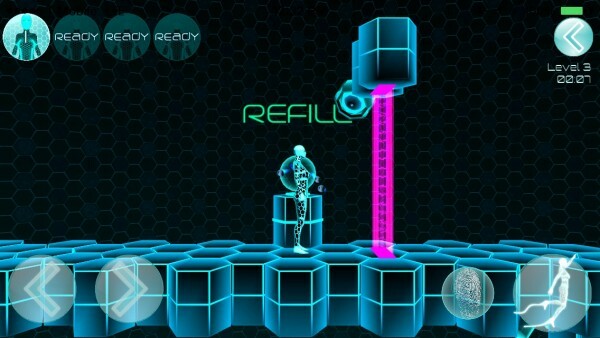 However, if a clone is killed, you will need to refill that seed by running past a refill station, which are scattered around the levels. Walking through the pink checkpoints will destroy the clones, as you can’t take them with you to the next puzzle. If you mess up and are stuck, you can quickly respawn at the last checkpoint you passed by tapping on your main portrait. If you think you can just aim a clone over near the exit portal and have it go towards it to complete the stage, think again — clones will die when they touch that portal, so only the main character can go through it. And while you can take as long as you want to solve the puzzles, the game does have a timer, so the faster you solve it (with the least amount of clones possible), the better your grade is. 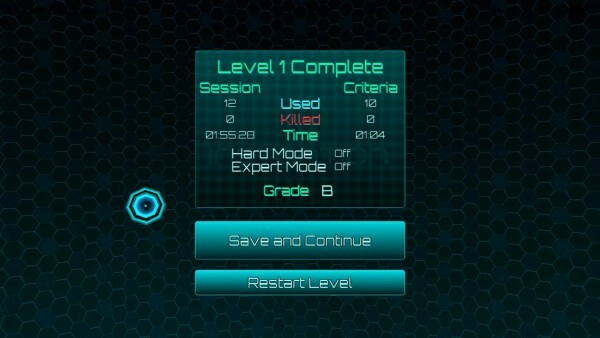 I recommend taking your time on the first playthrough of a level, and then memorizing the solution so you can do it quicker in the next run. I’m a bit surprised that this game does not have Game Center integration for leaderboards, or even achievements, but it’s not a deal breaker. 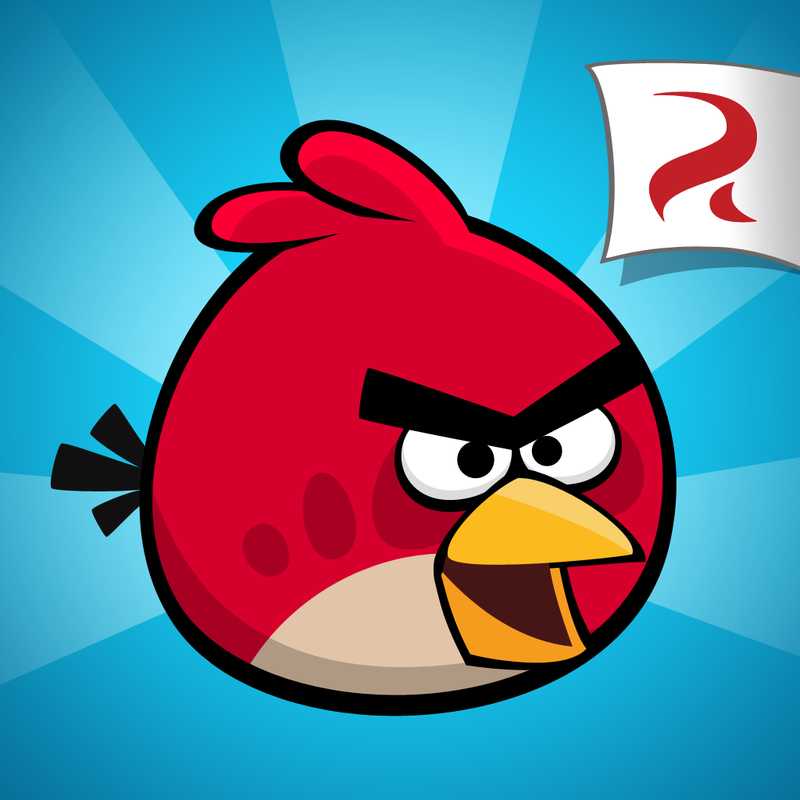 The gameplay is unique and challenging enough to keep you coming back for more. 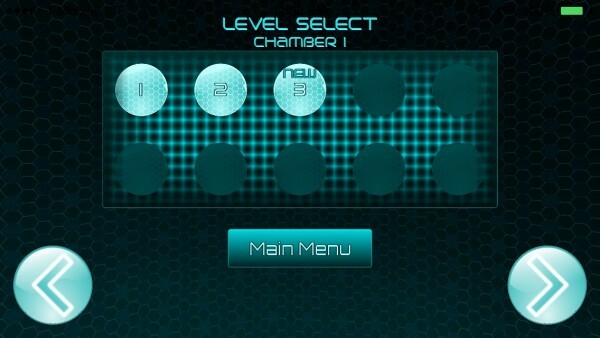 I’m enjoying Instantion so far, as it’s quite a brain teaser, plus the visuals and music are nice. However, I think that the animations when moving around can be a bit smoother than what they are right now, and the aiming system could be improved. I was thrown off a bit in the beginning because the aiming seemed a bit off at first, but I just needed some time to adjust. Still, I think that this is a fun little puzzle platformer, and I recommend it to fans of the genre. 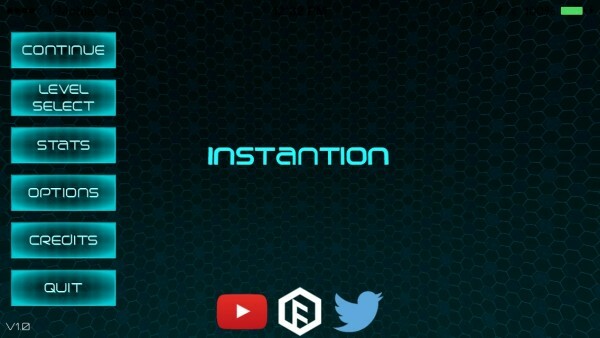 You can get Instantion on the App Store as a universal download for $1.99.